Life is amazing - enjoy it: InterRail vs. the road trip: what's the best way to see Europe? InterRail vs. the road trip: what's the best way to see Europe? WorldNomads.com are offering three aspiring travel writers the chance to win a two day travel writing workshop in Berlin, followed by an all-expenses paid, 10 day solo road trip around Europe. To enter, all you have to do is write a short travel-focussed essay about a personal experience based on one of the topics listed on the site – easy. Head over to WorldNomads.com and enter now. So, what’s the best way to travel around Europe? Is it to sit back, relax and take in the scenery as your train speeds you, uninterrupted, to your next destination? Or is it to be the master of your own destiny, hunting down your own personal piece of paradise from behind the wheel of a car. They both have their pros and cons, so to help you decide which fits you best we’ve written a guide that pits InterRailing against roadtripping, mano-a-mano. Would you believe it? It’s actually cheaper to rent a car for three weeks than it is to buy a 22 day InterRail Global pass. It seems it’s not just in the UK that the price of public transport is skewed the wrong way. Of course, there are far more options as far as companies go when it comes to renting a car, while there is only one company selling InterRail tickets, but the difference is still surprising. For a manual Mini Cooper with unlimited mileage and a ‘full to empty’ fuel policy (meaning you pay for a full tank in advance and return the tank empty), prices start around the £190 mark (approx. £9.00 a day). On the other hand, a Global InterRail Pass that allows you to travel to 30 different countries costs £285.16 for travellers who are 25 and under and £427.33 for those over 26. Of course, you can get cheaper passes that offer less travel over fewer days, but it’s this one that works out as the best deal. In some countries, France and Italy for example, your pass isn’t enough to cover the cost of the train ticket and they charge you extra to book onto a train. It’s worth reading the small print on the ticket. Else you’re probably going to find yourself in a rather nasty and lengthy argument with a conductor at some point during your trip. Still, you’ll need to keep in mind extra costs when it comes to driving too. If you’re doing a lot of driving, then you’ll undoubtedly need to fill up on fuel a few times, and then there’s insurance. But remember, you do not have to get your insurance policy with the rental company. You are entitled to shop around for a better deal and don’t let them bully you into believing otherwise. Strangely, the car wins out here. 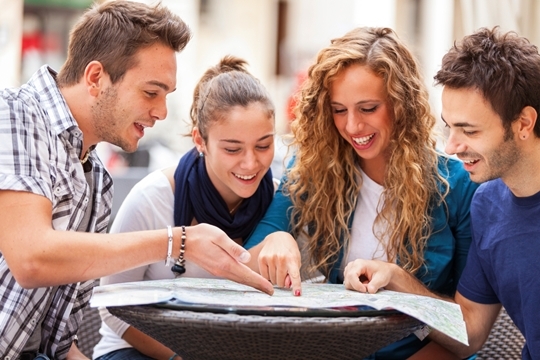 It’s unlikely your overall bill is going to be more than the price of an InterRail Pass, especially if you’re over 26. This is kind of a no-brainer really. When it comes to lugging a backpack around Europe, the car with its beautiful boot wins. The trains in Europe don’t have the widest of walkways and it’s really not very fun when, while looking for a seat, the tent hanging from your bag hooks onto an old lady trying to shimmy past you the other way and drags her behind you for three carriages before you finally notice. You’ll start apologising profusely, but it’ll be in a language that she doesn’t understand. Even if she does usually understand it, the stress of the situation will have turned that part of the brain off. No, people on trains do not like people with over-sized backpacks. Where a car really wins out over the InterRail option is in the freedom to explore. While Europe is covered by a pretty extensive rail network (even in Eastern Europe is well covered when compared to other parts of the world like America or Australia), these only really stop at cities, towns or sometimes very rarely at the odd village. 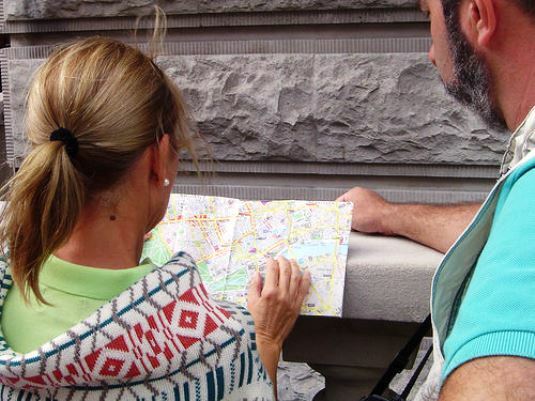 It’s true that you can get to out of the way places, but that involves booking a bus or coach from a tourist office or your accommodation and shelling out extra on top of your pricey InterRail ticket. 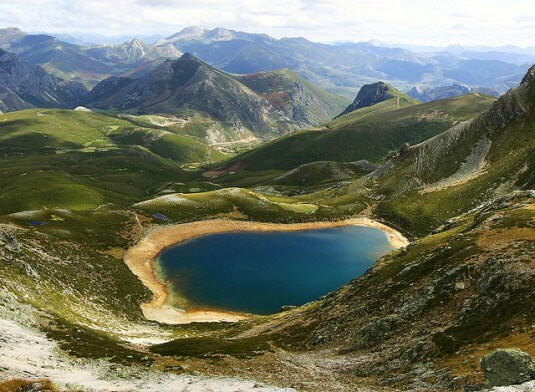 If you want to climb some out of the way mountain peak in the Picos de Europa, off the beaten track, then you will need to get yourself a car. 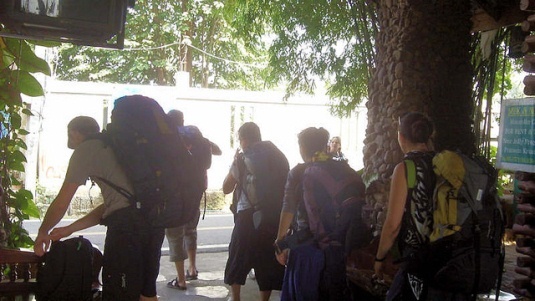 You’re unlikely to find your secluded piece of paradise using public transport. It’s quite hard to get lost on a train. The only real problem you’re going to have is if you hopped on the wrong train at the station, or if you make the dreaded unscheduled stop in the middle of nowhere. Being bundled off a train in a remote village in the Czech Republic is kind of scary, especially when no one speaks a word of English. You genuinely start to believe you are going to have to live there and momentarily you start mentally making those calls home. “No, sorry Mum, I’m not coming back. I live in the Czech Republic now, apparently.” Luckily, the universal language on pointing at a map and imploring “Here? Do you know here?” usually works after a while. Getting lost in a car is probably nigh on impossible to actually do now too, what with sat nav and all those magic apps. If you do get lost – say the gadget breaks and like most modern folks you can’t read a map – then at least you have the shelter of your car to keep you warm, rather than just a train station platform. The real problem comes if you break down. Some rental companies include roadside assistance as part of the package, while some expect you to pay extra – extortionate extra in some cases. Again, remember that you can get insurance from a company other than the rental firm you go with. If you take your own car, make sure you have adequate cover with from a reputable company like AA or Green Flag. It’s best to do a little research before you book. This is a tough one. There are a lot of travellers out there using InterRail, so you’re quite likely to bump into a few of them on the trains around Europe. 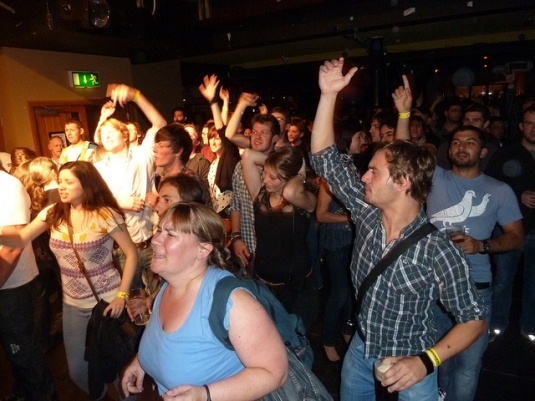 Otherwise, you’ll no doubt find a fair few InterRaillers in the hostels you visit and will probably find yourself shifting your plans to hop on the same trains as them. Those long train journeys across the continent are a great way to get to know new folks and make some friends. On the other hand, a car is great for bribery. 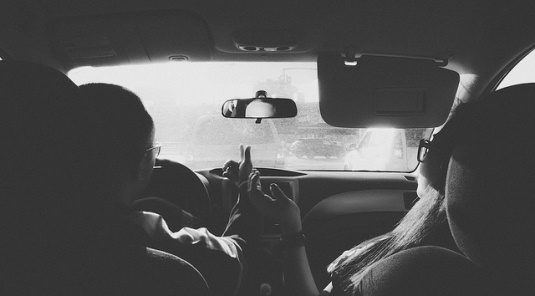 Offer a fellow traveller a lift and you have a firm friend for life… or at least until you arrive at your destination. Only a prize fool likes driving with a hangover, so there’s not really much of a contest here. Not only is it unpleasant to fight that nauseous feeling while focussing on those white lines painted on the road as they zip by, but it’s also pretty dangerous too. On the other hand, if you wake up in the morning with a great stonking hangover and the only thing you have ahead of you is a train journey - no problem. Set up your bag as a pillow, lean and relax. Get a little shut eye. Dream, recover and wake up right as rain at your next destination. Just make sure you don’t over-sleep and miss your train in the morning. Or worse, over-sleep, miss your stop and end up in the wrong country. If you’re travelling in a couple then arguments are an inevitability, as sure as night follows day. 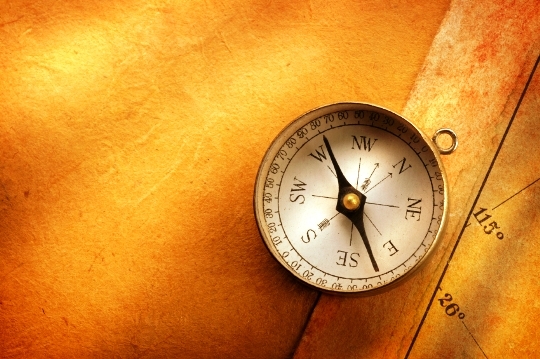 Since navigation is now left to a machine, arguments have now become slightly less volatile than they were in the days of the A – Z Atlas, however they aren’t entirely gone. There’s still plenty to bicker about, even in the digital age, like music choices, or why you didn’t stop at that last petrol station, whether it’s OK to go in the bushes by the main road or use the empty Coke bottle. Also, unfortunately, the machine giving directions doesn’t argue back, so when it shorts out and sends you the wrong way, your passenger must become the unfortunate victim of your ire. The train is a little less stressful, but by no means free of travel tensions. Understanding the train timetable in a foreign language isn’t always the easiest of things to do. When you do hop on that wrong train, then it’s always the other persons fault. The memory becomes very short when you’re lost. Whichever means of travel you take, avoid Monopoly or Scrabble directly after you arrive. Any amount of competition, no matter how small, will end in a murder charge. You’re travelling through Europe, a beautiful and varied continent that throws up wooded mountain ranges, lush alpine landscape, and dusty Mediterranean olive groves, all in relatively close proximity. It’s a view you’re going to want to take in as you travel. Naturally, the best way to do this is relaxing on a train. Some train lines are even built specifically with the view in mind. 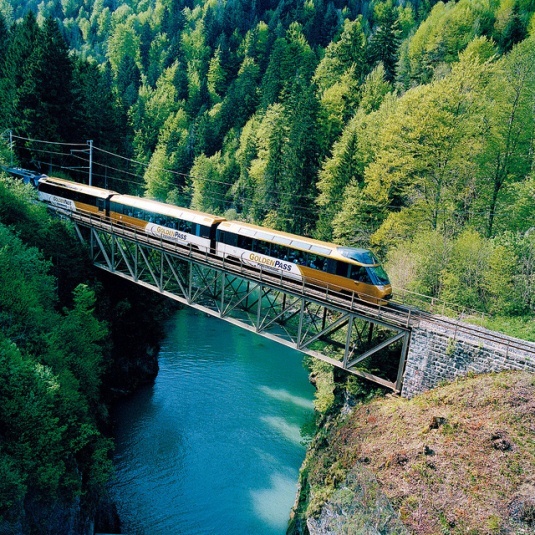 Check out the specially designed Golden Pass scenic train in Switzerland with its awesome panoramic views. The route is truly awe inspiring, running beside Lake Geneva through to the Alpine summits and on to Lake Lucerne – incredible. It also doesn’t cost any extra to ride. While driving, you don’t quite have the same freedom to simply take in the sights. You have a road to focus on, other cars, pedestrians, that kind of thing, and that can be stressful. And you’ll probably become very jealous of the passenger sitting next to you, snapping shots of those awesome mountain peaks you are taking all the trouble to drive by. Then you’ll arrive at your hostel, play Monopoly and… well, we’ve already covered that, haven’t we. Whether you choose to road trip or to InterRail, find some great deals on accommodation for your cross-European adventure by clicking here. So there we have it, the pros and cons of InterRailling and road tripping around Europe. Now it's up to you to decide. For the true adventurer, the car will always have to win out. It's the best way to find those out of the way spots - the unspoiled lakes, those incredible and deserted mountain peaks. But at the same time, a few hours in a train carriage isn't going to take as much out of you as hours staring at the road. It rather depends on who you are. For the city explorer, the train will more than suffice. But for the traveller looking for adventure out in the sticks, you better get yourself your own set of wheels. Want to win an InterRail trip across Europe? Enter our Euro Party Trip competition here and you and a friend could win two 30-day, first class InterRail passes, plus free accommodation and a travel pack. Inter railing around Europe was a life-changing experience. I found it to be like a sort of travelling Pandora’s Box with a colourful array of different and notable things contained within - attractions, restaurants, tours, parks, museums and sights all for you to experience and explore. Like in the Pandora’s Box myth however, there is an important cautionary element to note in relation to such a trip. It would be unwise not to think and plan before considering inter railing, and I learnt there are some very practical dos and don’ts with journeys like this. But using my top ten tips, your European inter rail trip should flow that little bit smoother. This was one of our biggest mistakes. We packed everything we thought we needed and then some. What I strongly recommend is that you take as little as possible. Travel light. I once read (after our trip) a tip about travelling abroad. It said you should ‘lay out everything you think you will need on the floor. Now halve it.’ It seems drastic, but when you are lugging around that big, heavy backpack with you mostly everywhere you go, probably in relentless heat, you will wish you had brought less. Don't be afraid to buy a few mundane, cheap, single-use items while on the trip, such as sachets of shower gel and toothpaste for instance. At every opportunity, save on space. The lighter the better. First and foremost, if you’re travelling with somebody else make sure you get on with them very well. Remember that you will be spending all of your time with this person (or people) for the entire trip, unless you have plans to split up along the way. I travelled with my cousin and though we had one minor quibble during our month of inter railing, we understood each other very well and had zero arguments. If you have a fight and things get awkward, make sure to sort it out as soon as you can. This way you won’t let it ruin your trip. If you wish to buy souvenirs, try not to be too liberal. It's nice to have a token by which to remember your stay in Chochołów - a ceramic or wood plate for example - but don't forget that you will have to carry it around with you everywhere you go from the moment you buy it. Sending souvenirs home is a possibility, but we found this to be quite expensive, and money that was better spent on food, accommodation and tours. Unless it’s unavoidable, don’t bring any formal or heavy clothes. It’s important not to have a weighty backpack, and don’t think that the sun will show mercy when wearing jeans or cords trekking around the Parisian boulevards. Without bordering on the unacceptable, wear as little as possible. Think shorts, sandals and a light fabric t-shirt. If you’re wearing sandals, be absolutely sure they’re comfortable. It’s painful after thirteen hours of walking when the strap begins to cut into your foot. I made this mistake - don’t make the same one. Europe really is a magical continent, but it covers a vast portion of the world. If you plan on inter railing around it, that takes time. It will of course depend on the nature of your trip, but on average we spent approximately four hours on every train. Multiply this by the fifteen trains we took during our month away and you get an idea of how much time we spent zipping around the European landscape in a tiny cabin at hundreds of kilometres per hour. For these long journeys bring something to pass the hours away such as a small book, a pack of cards, Travel Scrabble, or some other such item that won’t monopolise the precious space in your backpack. There are many more elements one ought consider when planning an inter rail journey, but the ten above are some of the most important and basic. The spirit of my message is to think before you act - do internet research, make phone calls and have a good idea of which cities you want to visit. If you take this advice I can guarantee that your European inter rail trip will be smoother and more enjoyable. Here are ten tips; my eleventh and hugely important one is this - be sure to have fun. Europe really is fantastic and has some of the most amazing, inspiring and provoking attractions in the world. I hope you enjoy it as much as we did. “ My top tip - check which countries require you to have reservations on trains with an interrail ticket. You can hop on any train in Germany, but not in France - as I discovered after approx 7 hours of waiting at two different stations and an expensive Eurostar train to Brussels! 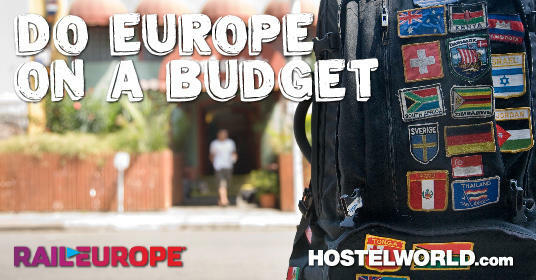 If you’re backpacking through Europe, chances are you want to keep to a fairly strict budget. 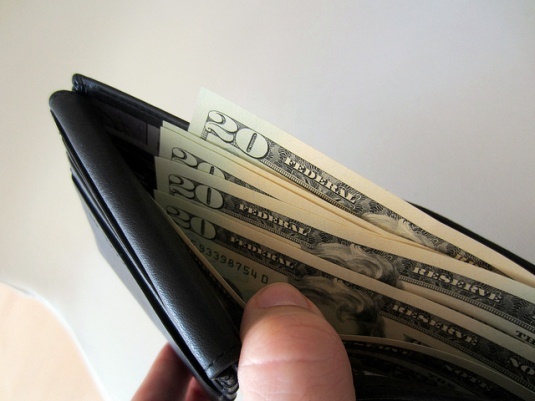 Seeing and doing as much as possible for as little money as possible is key. Most people immediately think of a rail pass – and if you truly do want to see as much as possible and maintain flexibility with your travel plans, a rail pass is probably a good idea for you. 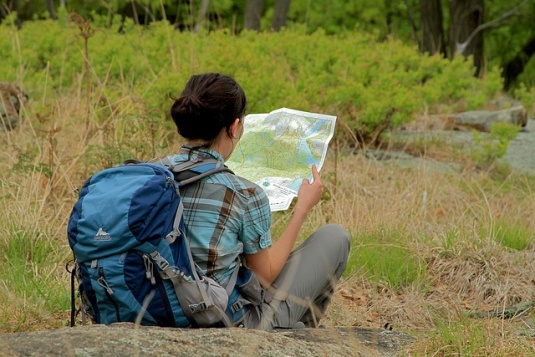 Passes cover anywhere from one to 24 countries, so they appeal to many travelers with many different itineraries. A rail pass isn’t the only answer, however. If you’re only taking two or three trains while you’re in Europe, it might be better to just purchase individual point to point tickets. Again, it all depends on your personal itinerary, and if money is a concern then it’s a good idea to price out everything before booking tickets or passes. 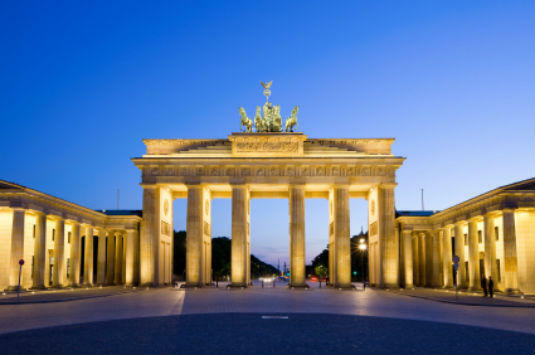 As far as European capitals go, Berlin is one of the most affordable and one of the most impressive. Brimming with history and culture, Berlin has something for everyone: museums, street art, underground concerts, historical landmarks, renowned restaurants, and quirky bars. Despite the large variety and high quality of attractions it offers, Berlin remains more affordable than its neighbors Paris and Barcelona, among others. There’s a lot to see in Berlin and that’s where a city card can come in handy. City cards are perfect for travelers on a budget because they often give discounts on public transportation, museums, and other attractions. For example, with the Berlin Pass, you get a choice of 2 or 3 days of consecutive travel on public transport, complimentary admission to over 50 attractions, a free 1-hour cruise on the River Spree, and a guidebook. If you know you’re going to be doing all or most of these activities anyway, you might as well take advantage of a discount. Getting to Berlin by train: The Berlin Central Station – or Berlin Hauptbahnhof – is considered to be the biggest train station in Europe, and it’s a pretty impressive welcome to an already impressive city. You can travel to this station from so many other European hubs (to name a few: Munich, Prague, Vienna, and Zurich). 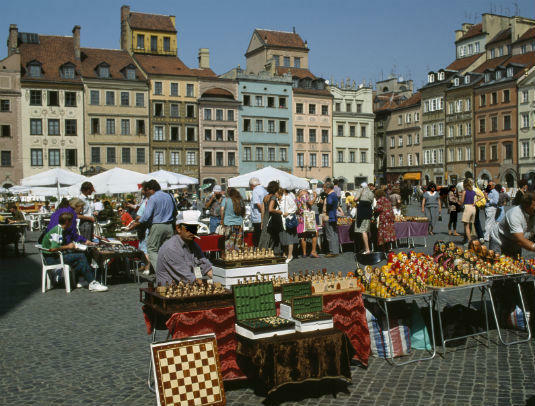 Full disclosure: I have never been to Warsaw, but every single time I’ve traveled to Europe, I’ve met travelers who absolutely rave about how wonderful it is. Poland in general gets rave reviews. One of the things I hear most often is how affordable it is, and how it’s still more off-the-beaten track than a lot of other cities in Europe. Don’t miss: The Place of Culture and Science, the tallest building in Poland and quite an imposing one at that, considering its Communist-style. It currently hosts concerts and movies, and it houses cafes and museums as well. You’ll get a pretty nice view of the city if you take the elevator to the top. 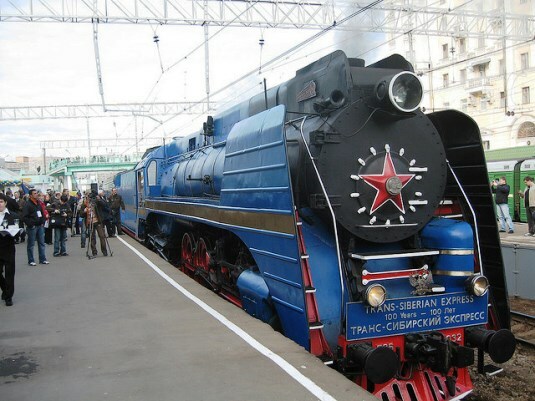 Berlin to Warsaw by Train: The Berlin-Warsaw Express Train takes travelers between the two cities in under six hours. The ticket price of this train is covered by a rail pass or combination of passes that includes Germany, Poland, or both countries, so only a seat reservation supplement would need to be purchased for the specific date and time you’d want to travel. Point to point tickets can also be booked for this route. One of the smallest cities in one of the smallest European countries, Bratislava is still full of charm. Its main attractions are all essentially free: the classical old town area, the view of the “UFO bridge” from the castle grounds, the castle grounds themselves, and the locals playing chess in the park in the center of town. Bratislava also offers excellent people-watching opportunities in the evening, as the place is a hotspot for British stag parties. If you’re visiting on a weekend in the spring or summertime, you’re pretty much guaranteed to see young adults running from bar to bar dressed in ridiculous outfits. Maybe you can even tag along. Between the stag parties, the chess-playing locals, the view of the city from the castle grounds, and the tourists posing with that weird statue peeking out from a pothole in the old town, Bratislava is pretty much a jackpot for anyone who loves one of the most budget-friendly sightseeing activities of all: people-watching. Warsaw to Bratislava by train: There is an overnight train between Warsaw and Bratislava, so you can arrive in this tiny city well rested for all of that people-watching and stag-partying. Though Budapest is becoming more and more popular lately, it’s still fairly affordable as far as large European cities go. 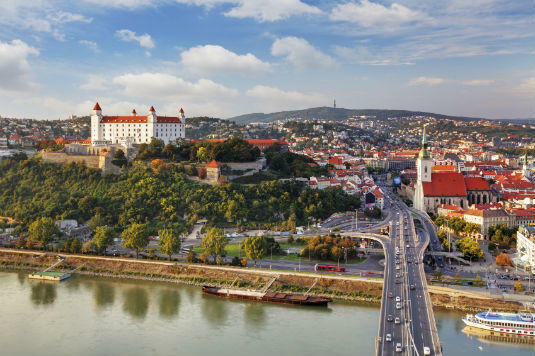 It’s a wonderful city for biking in the summer – despite the hills – and if you travel along the shores of the Danube, you’ll probably come across a little restaurant where you can try a bite of freshly fried fish before setting off on the rest of your trek, or a park where you can take an afternoon nap with the locals. One of the most popular attractions – the famous Hungarian baths – is extremely affordable as far as European attractions go (usually about 10-15 euro! ), and unlike most European attractions, you’ll feel relaxed and rejuvenated when you leave. For budget shoppers, the Ecseri Flea Market is pretty much heaven: stroll the aisles of scarves, jewelry, furniture, hats, old photos, you name it – and be prepared to haggle. 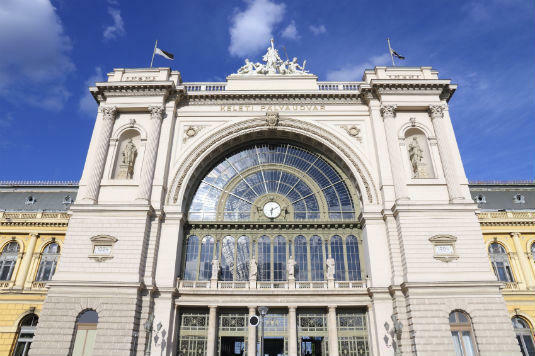 Bratislava to Budapest by train: There are direct trains that run between these two cities often; travel time is just under three hours. There are also services that require a train change along the way in Vienna, and even then the journey time will be about 4-5 hours. If you choose the latter route, you’ll get to experience a high-speed rail jet train for the journey between Vienna and Budapest.